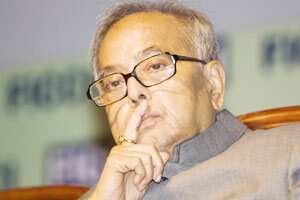 New Delhi: Amid concerns of a slowdown, finance minister Pranab Mukherjee has said the Indian economy will soon revert to a higher growth trajectory. Earlier this month, the government lowered the GDP growth forecast to 7.5% from its earlier estimate of 9% for the current fiscal. “The world economy is going through turbulent times. Due to the euro zone crisis, a downturn in external demand resulting in a slowdown in exports, currency volatility and current account deficit, among others, has also affected our economy." He also said that necessary instructions have been issued to all ministries and departments to adhere to their expenditure limits. On price rise, he said food inflation has come down to 1.8% and there is moderation in inflation in general. The savings rate has also gone up.